John Cooper Works models as MINI are getting increasingly popular in China. MINI’s , the small/compact segment celebrates its Chinese premiere and one will see five models getting ready for the 15th Shanghai International Automobile Industry. These ultra-sporty cars with chassis and powertrain technology that is based on racing expertise stand apart from the crowd. These five models are instantly recognizable thanks to the special character as well as those advanced exterior and interior design features. The range of models comprise of MINI Clubman, MINI John Cooper, MINI Countryman, MINI Coupé and MINI Paceman. Each of these models carries their own unique style and character as well as carries their own DNA for racing. One can feel the performance power of these MINI’s at their finger tips when they slide behind the steering. There is a fast rising demand among progressive for these time-honored British brand’s cars. Apart from the individual style and advanced technology, one gets all the driving fun too. 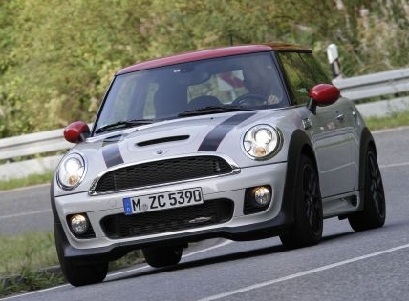 More than 15,500 MINI cars were sold in China in 2012. It seems the trail of success is sure to continue this year too with the John Cooper Works models and MINI Paceman. Motivated by motor sport, for its design and performance, each of these models carries the John Cooper Works badge. John Cooper name has always surfaced for the brand for more than fifty years now, symbolizing the sporting heritage of the brand. It was only the MINI that defines astonishing success in offering a superior driving fun and success in motor sport performance on the roads. You will love that full-blooded race feeling, those precise handling properties and the supreme performance, that is only experienced in a MINI. The unique character in these models is made of precisely configured chassis, an aerodynamic kit, extremely powerful brakes as well as modified exterior and interior. « Commercial Pickups: Which One Is Right For You?